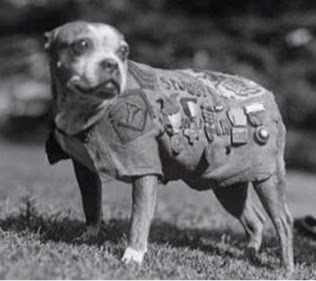 Sergeant Stubby was just one of 20,000 dogs serving Britain and her allies in WW1. Messenger dogs, mercy dogs, guard dogs and mascots did their bit for King and Country. Stubby even warned of impending gas attacks. Dogs were the first domesticated animal and have been used in battle throughout history. The Roman Army had whole companies of dogs wearing spiked collars around their neck and ankles. Pigeons have been used as message carriers for over 5,000 years. Their vital messages saved the lives of thousands in WWI and WW2. Cher Ami was given the Croix de Guerre for her heroic message delivery that saved many soldiers’ lives, despite being shot at and terribly injured. Humans began to domesticate horses in Central Asia around 4000 BC and they've been used in warfare for most of recorded history. They are prey animals and so their first reaction to threat is to startle and flee. Despite this, against their natural instincts, they’ve raced into countless battles, carrying their riders. Over 8 million died in WW1. From Simpson and his donkey at Gallipoli to Jimmy ‘The Sergeant’, born at The Battle of the Somme, donkeys have saved soldiers lives and given their own. 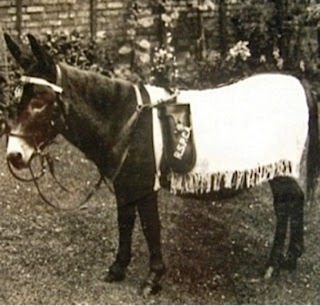 More suited to green fields than battlefields, donkeys have been to War for as long as horses have. 1915 saw the formation of the Camel Brigade, but camels have been used in battle since the Roman Empire. A bonus was that the smell of the camels spooked the enemies’ horses. Hannibal was one of the first to use them in battle and they've been used ever since. WWI saw Lizzie the elephant helping out at Tommy Ward's factory and being a star goalkeeper in a match against a neighbouring team. Some elephants were sent to the battlefields but more took up the heavy lifting slack in towns and in the countryside when the horses were shipped to the Front. Morale boosters and rat catchers. Trench life was a little more bearable thanks to the moggies at the Front. The tortoises that were brought back from Gallipoli, like Ali Pasha and Blake, will be commemorated next year. But tortoises were used as mascots before WW1. Timothy, who turned out to be a female, served as ship's mascot in the Crimean War and Jonathan, a giant tortoise, is pictured with prisoners in the Boer War. Military trained dolphins are able to find underwater mines and rescue lost naval swimmers. Their training is similar to how military dogs are trained, and for a dog or a dolphin mine detection is simply a game rather than a matter of life and death. 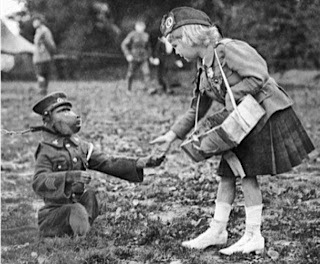 Jackie the baboon was the mascot of the 3rd SA Infantry in WW1. The baboon drew rations, marched and drilled, and went to the nightmare of Delville Wood and Passchendaele. He was injured whilst desperately trying to build a wall of stones around himself as protection from the flying shrapnel. Jackie’s leg was amputated but he got to go home at the end of the War. Millions of humans and other animals didn’t. Megan's book 'The Victory Dogs' is the 2014 Stockton-on-Tees Children's Book of the Year. Her book 'The Bomber Dog' has won the 2014 Shrewsbury Children's Book Award. That's sad about the elephant - maybe someone out that way should do a Change.org petition? Which reminds me - how about Voytek the soldier bear from WWII? After the war he,too, ended up alone, away from his friends in the unit. He was sent to a zoo where, when his old friends visited, they threw him the lighted cigarettes he'd loved to smoke. Change.org could be a good idea - never done one before and not over Longleat way but shall investigate. Wish I knew how to make it link!! !